Come explore the circus of the night! 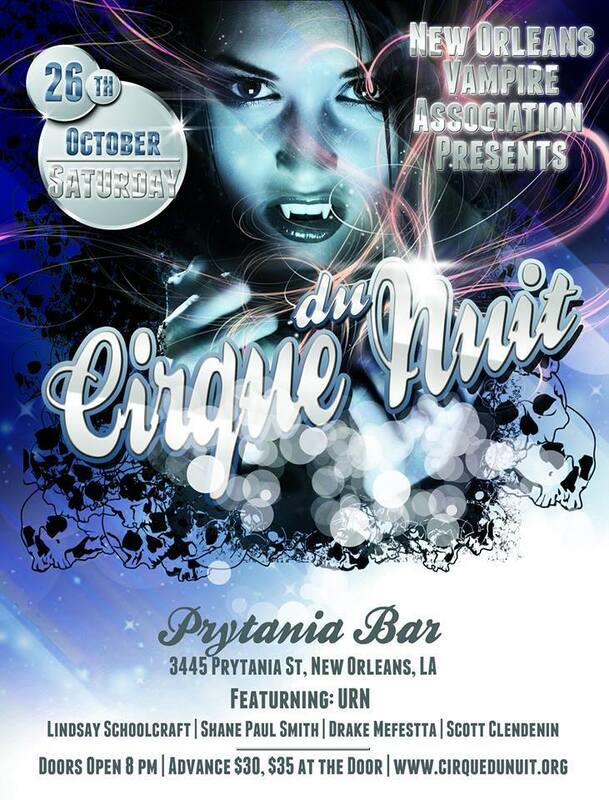 Back by popular demand, the New Orleans Vampire Association presents Cirque du Nuit, a night of revelry in the world of the dark and unusual, on Saturday, October 26, 2013. 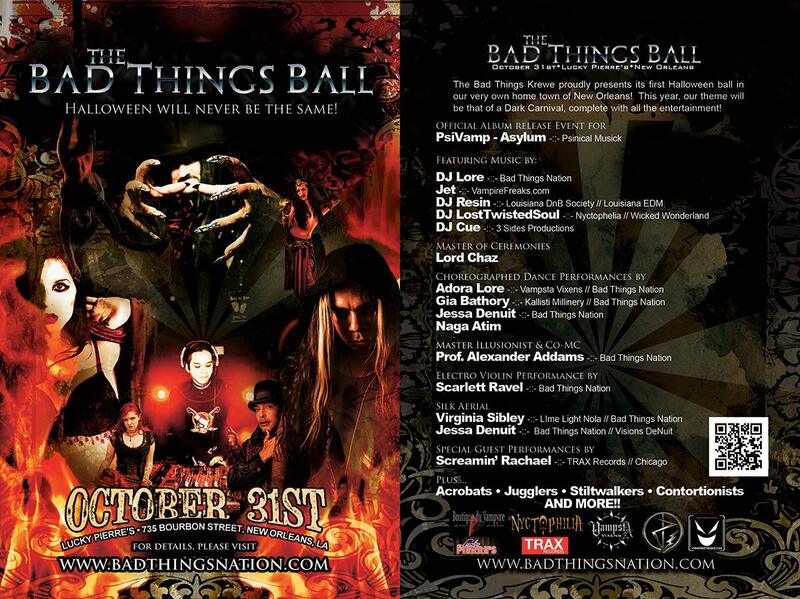 A formal ball, formal attire and themed costumes encouraged, and masks are always welcome. Doors at the Prytania Bar (3445 Prytania St., New Orleans, LA) open starting at 8pm. 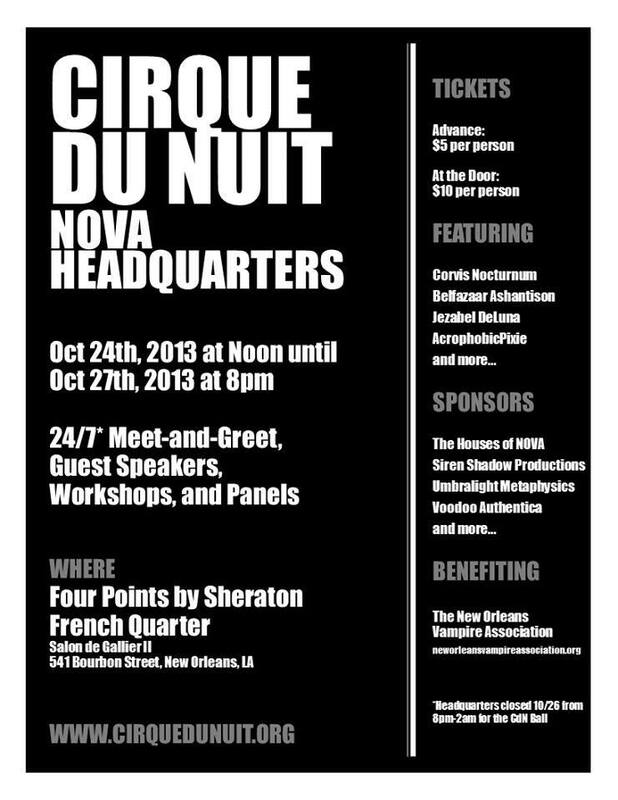 The New Orleans Vampire Association is pleased to present the Cirque du Nuit NOVA Headquarters. Come join NOVA for brunch! 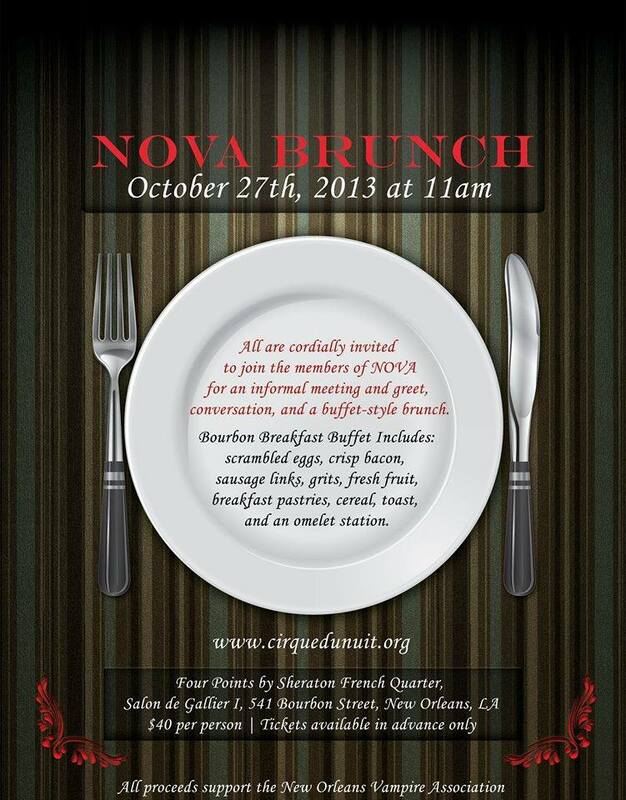 All are cordially invited to join us for an informal meet-and-greet with the members of NOVA for conversation and a buffet-style Bourbon Street brunch on October 27th, 2013 at 11am. Featuring real vampire (sanguinarian; blood-drinking) and author of the Donor Bill of Rights – Belfazaar Ashantison from New Orleans, LA.